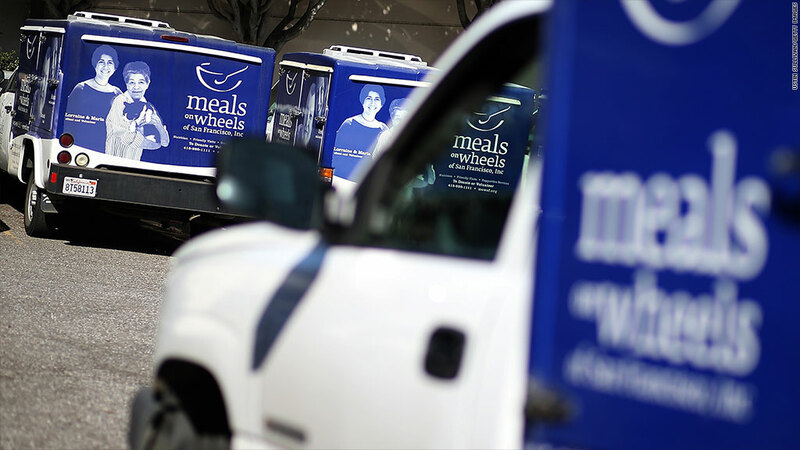 Seniors may lose 4 million meals from Meals on Wheels as a result of the forced spending cuts. But as with other potential ramifications of the cuts, it's unclear when that might start to happen. The arbitrary, across-the-board spending cuts lawmakers approved but swore would never happen were set in motion Friday. Will you notice an immediate effect? Not likely. For the most part, the ramifications would kick in over months, not several days or weeks. "By [April], government agencies will execute reduced work schedules and the budget crunch will become more acute," Sean West, U.S. policy director for the Eurasia Group, explained in a research note. "The pain will pick up speed from there." Of course, anyone directly affected will feel the cuts right away. But the general public's awareness may be delayed and uneven. Different cuts will create different domino effects, according to longtime budget expert Stan Collender. For instance, a government worker facing a furlough may think twice about buying a new car, whereas a federal contractor getting less business from Uncle Sam may not make new hires. Summer travelers may be surprised to face reduced hours at national parks or increased delays at airports. 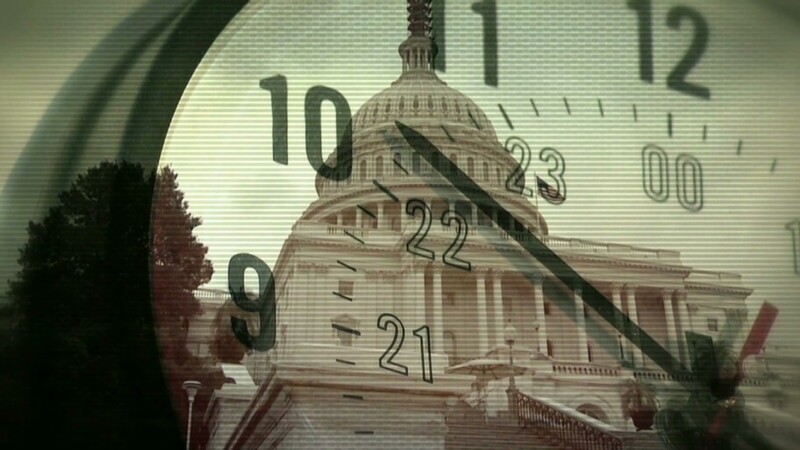 The exact timeline of how the so-called sequester will unfold is still unclear. And lawmakers may eventually agree to replace the cuts. But here's what we know now. Friday, March 1 - Sequester goes into effect: The White House budget office will issue an official sequestration order that cancels $85 billion in spending authority for the seven months remaining in the fiscal year. It will also submit a report to Congress detailing the level of cuts each agency must make to its programs, projects and activities. March 1 and beyond - Federal workers put on notice; grants and contracts curtailed: So far at least one federal agency -- the National Labor Relations Board -- has already issued a formal 30-day furlough notice to employees. The Department of Justice says it plans to do so by Friday. And the bulk of federal agencies planning furloughs will follow suit sometime thereafter. Agencies will also cut back on issuing new contracts and reduce federal grants to everything from schools to airports to states. March 26 and on - Furloughs take effect: Federal workers subject to furloughs will start working fewer days. That may be when the public first notices delays in federal services -- from making decisions about disability benefits to processing visas to providing airport security -- as well cutbacks in the hours of national parks. When furloughed, employees are prohibited from working for a set number of days for which they will not be paid. The furloughs will vary from agency to agency. The Pentagon, for instance, has said workers would be furloughed for one day a week up to 22 weeks starting in April. But the Department of Housing and Urban Development is planning on furloughs of just seven days: May 10, May 24, June 14, July 5, July 22, Aug. 16 and Aug. 30, according to a document obtained by CNNMoney. HUD offices nationwide would be closed on those seven days. And the IRS won't start furloughs until summer. March 27 - Funding for the government expires: Congress must pass a new bill setting funding levels for the rest of fiscal year 2013, which ends Sept. 30. If they don't, the government would shut down all but essential services. This is one legislative vehicle that could contain a sequester fix. April 1 - Medicare docs take a hit: Medicare payments to health care providers, health care plans and drug plans will be reduced by 2%. April and May - Budget negotiations: If lawmakers haven't agreed to a sequester fix by this point, they may try to do so during their annual budget negotiations for the next fiscal year. Mid-May to August - Debt ceiling negotiations: Congress will need to raise the country's debt limit. This could provide another legislative vehicle for a sequester fix, if one hasn't been put in place already. August and September - Back to school, but not for some: Teachers and school staff affected by education-related cuts may be laid off for the 2013-14 school year. Still unknown - Smaller unemployment checks: Everyone collecting federal extended unemployment benefits will see their checks cut by 9.4% retroactive to March 1. Just when they would start seeing smaller checks depends on how quickly their state unemployment office makes the change, which will vary from state to state. But chances are good many collecting benefits would see smaller checks sometime in March. By Dec. 31 - Fewer jobs created: The Congressional Budget Office has estimated that the economy would produce 750,000 fewer full-time jobs as a result of the forced spending cuts if they remain in effect for the whole calendar year. -- CNNMoney's Tami Luhby contributed to this report.